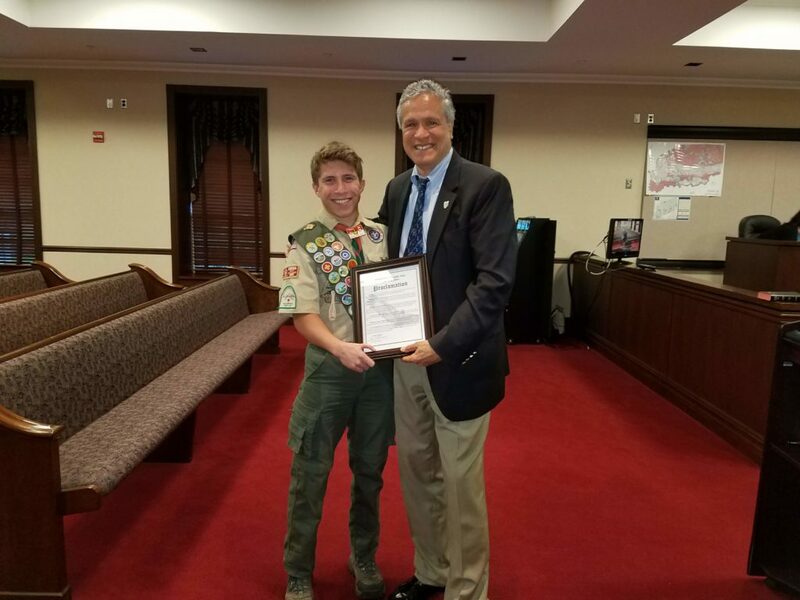 On March 2nd, Troop 59 celebrated their newest Eagle Scout, Tommy Garno. His project, was to replace, build, and stain new fences at the St. Vincent De Paul Church. It took him 3 days to do so. 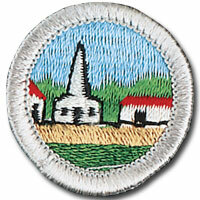 He received help from many scouts and adults. We are all congraulating him. All luminaries have been sold out! 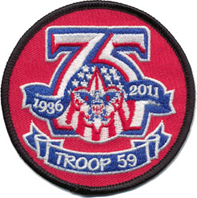 Thank you to all who supported Troop 59 – we’ll see you again next year! 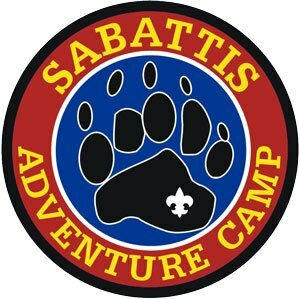 Troop 59 will be offering sets of luminaries – 10 candles, bags and sand – for purchase on Saturday December 1, from 9:00 AM to 3:00 PM, at the Valley Mall, 977 Valley road, Gillette. Any luminary sets not sold on Saturday will be offered for purchase on Sunday, December 2. 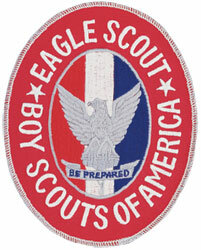 Reminder that Scouting For Food flyer distribution is this Saturday, November 4. Routes will be available starting at 8:00 AM from Long Hill Township town hall. Food pickup will be next Saturday, November 11 at 10:00; routes will be available from St. Vincent de Paul Church and food returned to the St. Vincent de Paul food pantry. 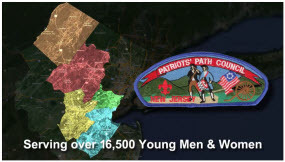 All available scouts should try to participate in this important community service project! 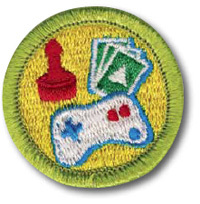 Troop 59 will hold it’s first planning meeting of the new Scout year at 7:30 PM on Wednesday, September 13, at the First Presbyterian Church. This will be the annual meeting for determining outdoor activities and troop meeting agendas throughout the entire year. 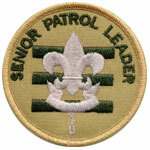 All scouts should attend and come prepared to participate in this important meeting: review the troop calendar (http://www.troop59.com/troop-59-calendar/) and responsibilities of troop leadership positions (http://www.troop59.com/troop-positions-of-leadership/) BEFORE THIS MEETING! 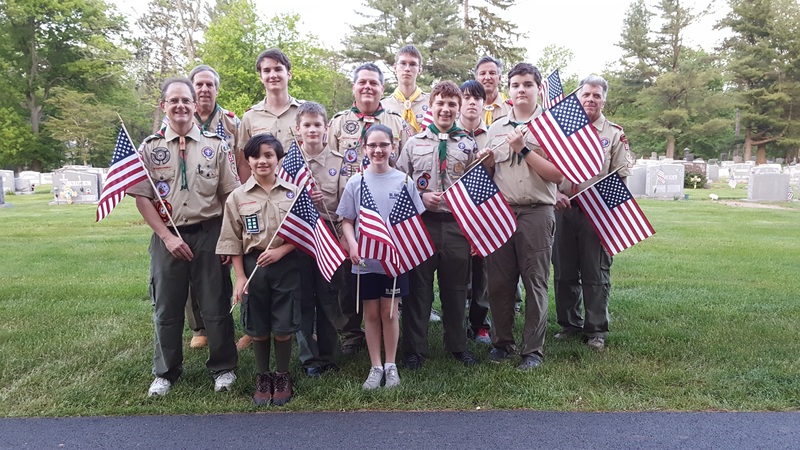 On May 17, scouts from Troop 59 once again gathered to honor veterans of United States Armed Forces with the placement of the US flag at the gravesites of those who have been laid to rest at the St. Vincent de Paul Cemetery. As our country prepares to celebrate the national Memorial Day holiday on May 29, the scouts solemnly remembered the service given by these brave men and women at nearly 300 graves. This Wednesday, the 17th, we will all be meeting at the St. Vincent de Paul cemetery at 7:00 pm to put flags on the graves for memorial day.